An Interactive Voice Response (IVR) is the first point of contact your callers will have when they contact you, that’s why companies all over Australia prefer professional audio productions for their IVRs. Not only does a recording answer the phone in a timely fashion, but it also helps your customers get to the right department faster, and without having to disrupt your staff. Think of your interactive voice response as a customer service representative for your company. You want the person to sound professional, and most importantly, be easy to understand. A professional voiceover artist is trained in the art of pronunciation and infliction. They know when to pause for effect, and they can easily select which words to emphasis at just a glance of the script. Just like singers, voice artists learn speak from their bellies; this helps to really pronounce a word and deliver emotion. Selecting a voice actor to represent your brand is an important part of your strategy, and even for a short message such as an Interactive Voice Response, your selection should be taken seriously. When selecting a voice artist, it is important that you think of your customers, and who they are most likely going to respond to. Would a male or a female voice appeal to them more? Do you want a strong Australian accent, or maybe a more refined corporate voice? You will also need to take into consideration your company culture – how do you want to be represented? Our voice artists are extremely talented and they are quite diverse on their tone and delivery; and we have a rather large database of talent, located across the globe, so we will certainly have a voice to suit your brand. 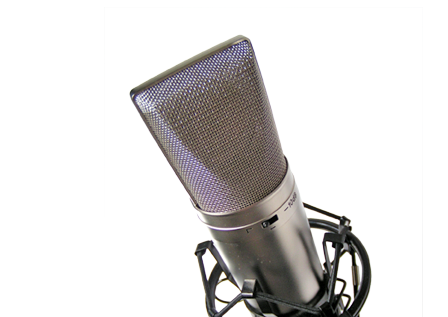 For more information about getting a professional recorded Interactive Voice Recording, please call us today. This entry was posted in Audio Production, IVR Prompts, Media Sound. Bookmark the permalink.